First Tae Kwon Do Mount Lawley teaches the original, non-competitive style of Taekwondo, which emphasises practical self-defence skills and the physical / mental development of our members. Our members train twice weekly and also have the option of attending other First Tae Kwon Do classes at other venues throughout the week at no extra cost. Our members include school children, uni students, and professionals who understand the importance of sharpening their situational awareness and training to be mentally and be physically ready for self-defence action, if the need should arise. First TKD accepts children from the age of 6 to adults to the age of 60. We invite interested members to come along to a class to see what our training is like, and to apply for a free introductory class. Please call (08)9275-7878 or email info@firsttkd.com for more information on our children’s & adults Taekwondo classes. 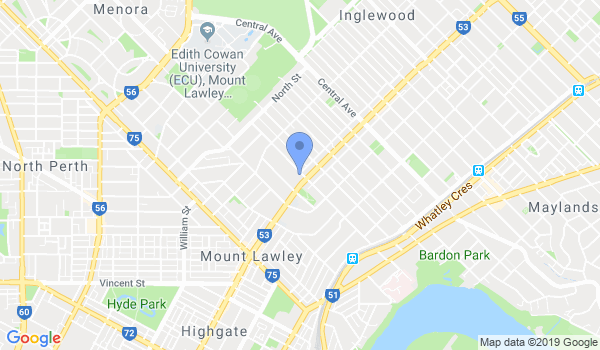 Would you like more information on hours, classes and programs available at First TaeKwonDo Martial Arts Mount Lawley? Please contact the school with your questions. Update the details, Write a Review or Report Error of First TaeKwonDo Martial Arts Mount Lawley. This Chart shows the Martial Arts Styles offered most in Mt Lawley, Australia area. View a list of Dojo in Mt Lawley, or enter your address below to find schools closest to you.